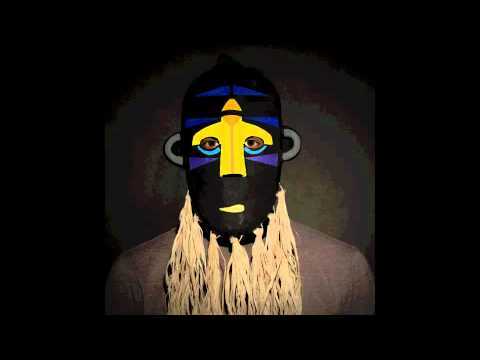 Following his sold out debut Australian DJ tour in October SBTRKT returns with his Full Live show including vocalist Sampha at The Metro Theatre, Sydney and Prince Bandroom, Melbourne 2012. SBTRKT‘s (pronounced ‘subtract’) debut album – a former triple j Album of the Week – pulls off a series of impressive feats: it’s bursting with fresh ideas but yet sounds immediately familiar. The album influences are incorporated with subtlety and sophistication: dense enough to interpret, light enough to dance to. Featuring collaborations with Sampha, Roses Gabor and Jessie Ware, the album also features Little Dragon and the imitable voice of Yukimi Nagano on single ‘Wildfire’. While massively prolific, a minimalist ethos runs through the work and style of SBTRKT, not just in his name but in the precision of the sonics and arrangements. SBTRKT has left his imprint on the UK music scene by seamlessly fusing Detroit techno, Berlin electro and classic 2-step into the thriving London dubstep scene, although this masked man fits comfortably in any category he wishes to occupy. Named by NME as the #1 most ground-breaking dance act in the world, SBTRKT is no stranger to writing, recording and releasing music. In addition to his stand-out debut album, SBTRKT has also released singles and EPs on Brainmath, Numbers, Ramp, Monkeytown and now home label Young Turks. Add to that, re-workings of Radiohead and Goldie, and remixes of Modeselektor, M.I.A and Basement Jaxx. Don’t miss your chance to catch SBTRKT live at The Metro and Prince Bandroom. Also appearing at Laneway Festival 2012.